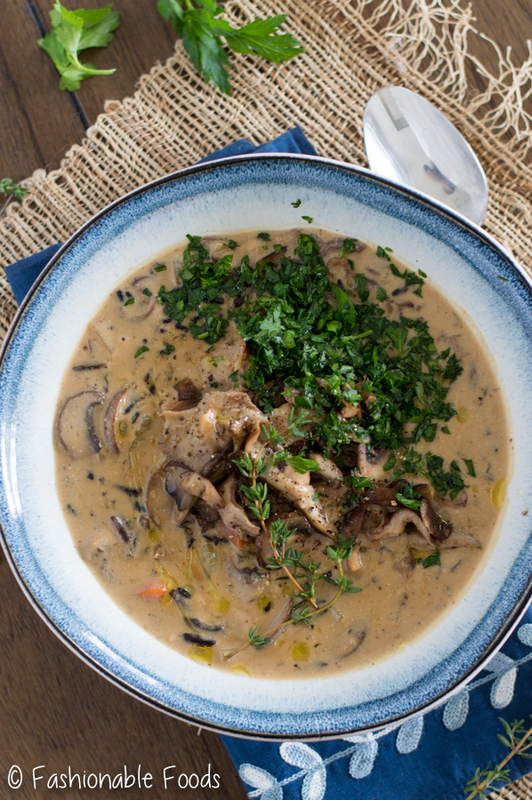 Mixed mushrooms combine with aromatics and wild rice in this creamy soup. 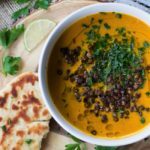 It’s vegan, but made creamy by blending cashews with vegetable broth. 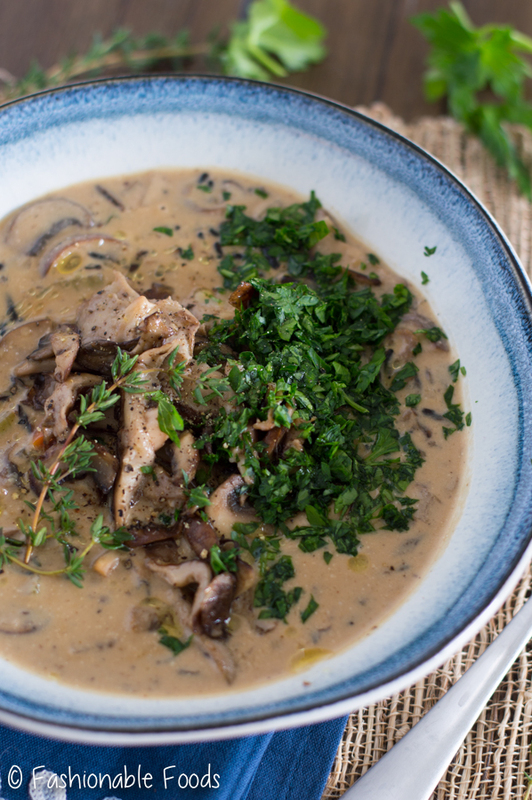 Vegan creamy mushroom and wild rice soup is healthy, satisfying, and oh so comforting! Vegan and creamy don’t usually go together. When I hear creamy I automatically think of dairy being involved. 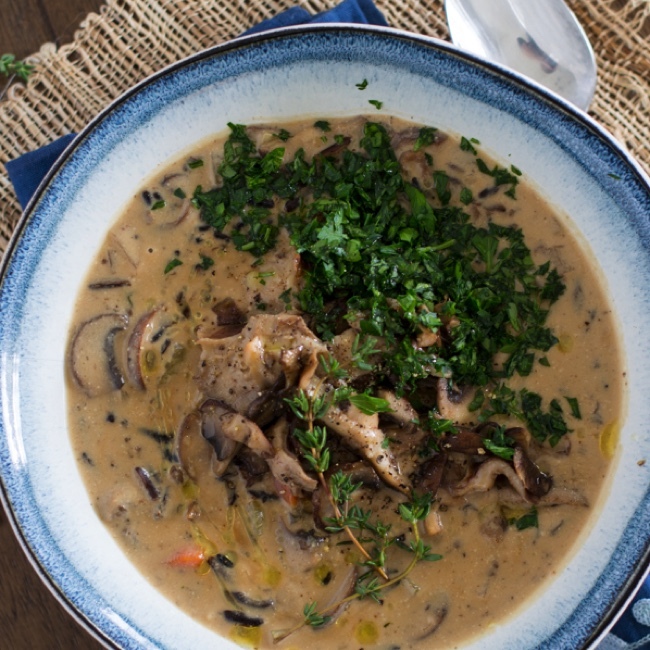 Well my friends, no cream is needed to make this super creamy mushroom and wild rice soup! So, what do we use? Cashews. Cashews are kind of amazing. Because they are a softer nut than say, almonds, they blend completely with whatever liquid you choose.. making a creamy concoction that looks like heavy cream. I’ve been blending a small amount of cashews with my coffee for a while now (makes it like a latte! ), but I haven’t used them in any other capacity. 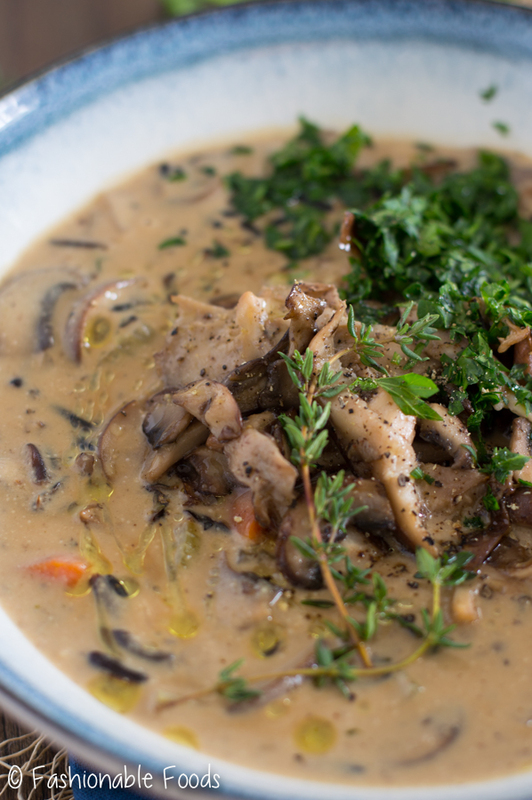 I love mushrooms, wild rice, and soups. That makes this recipe a no-brainer. I decided to make it vegan because creamy soups (made with heavy cream) tend to be heavy and obviously not the healthiest choice, so why not lighten up? If you’re skeptical here, believe me when I say you will have no idea there’s no cream in here! Vegetable broth adds to the rich mushroom flavor, but if you can’t find it and aren’t vegetarian/vegan, you can use chicken or beef broth. Pre-cooked wild rice. If you can find this, buy it! I was able to find the Fall River brand at The Fresh Market, which contains the perfect amount of rice for the soup. Target also carries a microwavable pouch of wild rice. Whatever you buy, try and find all wild rice! No blends as they usually have mostly brown or white rice and a few flecks of wild rice. The texture of the wild rice really makes this soup. You need a blender, food processor, or immersion blender. Blending the cashews with some vegetable broth is necessary to get that creamy texture. I like to soak them in hot broth for about 15 minutes before blending them. If it’s not completely smooth, you can pour the liquid through a fine mesh strainer. Mixed mushrooms. If you can find them, try using a mix of shiitakes and chanterelle along with crimini and button mushrooms. 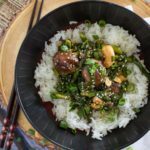 The mix of mushrooms makes such a difference in flavor and texture. There you have it! A creamy, comforting, healthy, satisfying, vegan meal. You won’t miss the meat or cream, promise. Heat 2 cups of the vegetable in a small pot until simmering. Place the dried mushrooms in a small bowl and cover with a small amount of the broth. Let soak for 15 minutes. Add the cashews to the remaining hot broth and let them soak for 15 minutes while you prepare the rest of the soup. Heat a few drizzles of olive oil in a large soup pot over medium-high heat. Add the mushrooms and sauté until the start to soften, stirring constantly. Add in the thyme and continue to cook until the mushrooms develop a deep color, about 3-4 minutes. Season them well with salt and pepper. Transfer them to a plate and set aside. Add more oil to the pot and add in the onion, celery, carrot, and garlic. Sauté until the veggies are soft, about 3-4 minutes and season with salt and pepper. Pour the remaining 4 cups of vegetable broth into the pot and give it a good stir. Drain the porcini mushrooms through a cheesecloth or paper towel-lined strainer, reserving the liquid. Chop the mushrooms and add them, along with the soaking liquid to the pot. 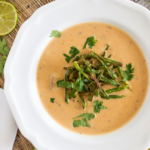 Blend the soaked cashews and broth with an immersion blender, blender, or food processor until smooth. Pour the creamy liquid through a fine mesh strainer into the soup and stir. Bring the soup to a simmer and let it cook for about 10 minutes before stirring in the wild rice. 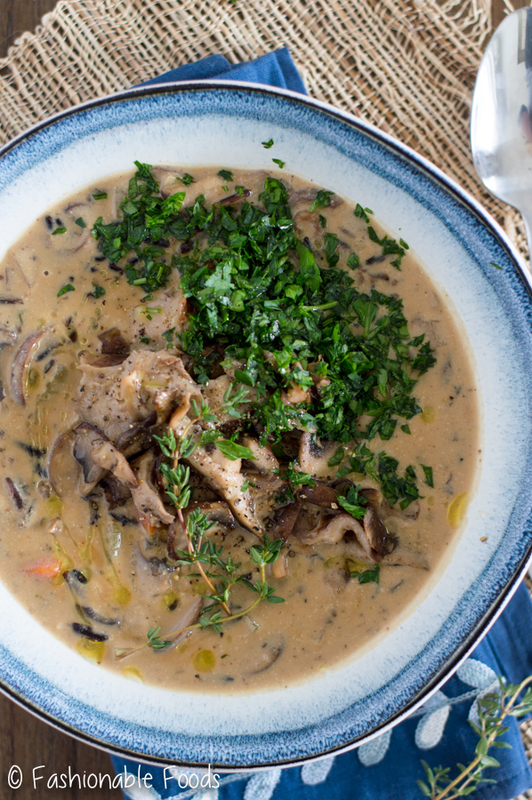 Serve the soup in bowls topped with lots of fresh parsley and a drizzle of extra-virgin olive oil. YUM! 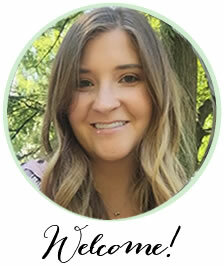 *Look for precooked wild rice or microwavable pouches to keep things simple. Make sure you buy all wild rice and not a blend as they usually contain mostly brown or white rice with a few flecks of wild rice. If you can't find precooked or microwavable rice, you can buy a bag of dried wild rice and make it on the stove according to the package instructions. This was delicious! 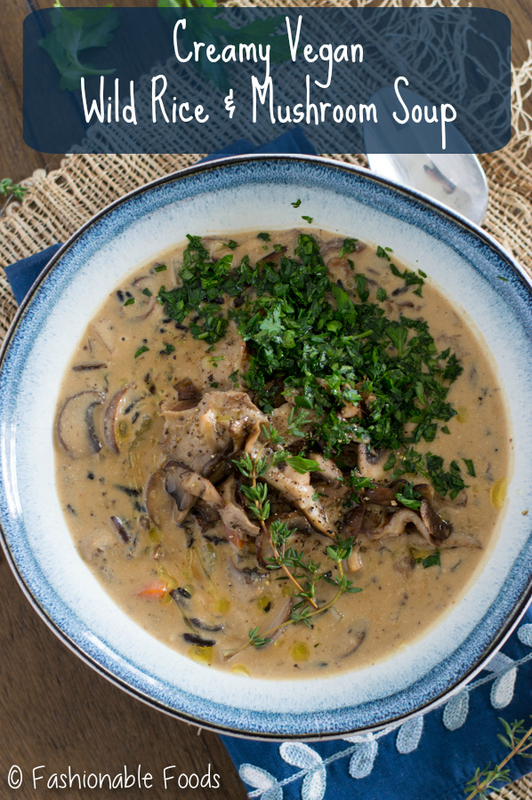 I used an immersion blender on the broth, carrots, and onion before adding the cashew cream because I wanted the mushrooms to be the star of the show. I will definitely make it again.